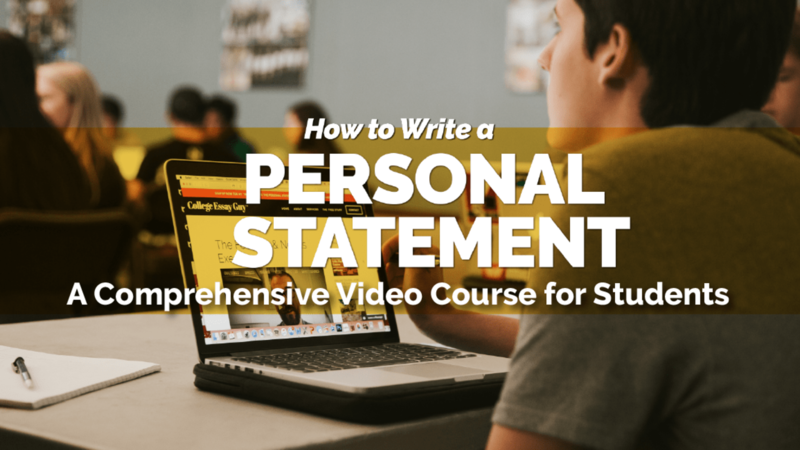 This online video course provides students with everything they need to write an amazing personal statement for college. Whether you're using the Common Application, Coalition Application, or applying to one of the hundreds of public state colleges or universities, this course will give you the tools to write an essay that demonstrates your core values and how you'll make meaningful contributions to the college campus. With over a dozen video lessons and awesome sample essays, it's the most comprehensive course of its kind.